Ann Arbor, MI-based Swift Biosciences announced this week that it has signed a licensing deal with Vela Operations, the Singapore-based parent company of Vela Diagnostics. The agreement gives Vela non-exclusive rights to incorporate Swift’s myT Primer technology into its cancer detection tests. The terms of the deal were not disclosed. Founder and CEO David Olson says Vela is interested in Swift’s technology because it enables researchers to do polymerase chain reaction (PCR) tests, a DNA amplification process used in clinical diagnostics, with fewer errors. Since raising a $3 million Series A round in 2010 with investment from Houston-based DFJ Mercury and undisclosed Michigan-based investors, Swift Biosciences launched the myT Primer technology line for use in research and study, which is how Vela became familiar with it. 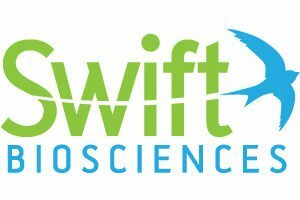 Swift Biosciences, which launched in early 2010, has 11 employees and was founded by Olson and Vladamir Makarov, who met at an entrepreneurial event hosted by Ann Arbor SPARK. Olson is a serial entrepreneur; he’s been involved in starting five companies over the course of his career, including San Francisco’s Genteric. Olson is excited about what the future of personalized medicine holds and thinks Ann Arbor is the perfect spot to continue to develop diagnostic technology. Although Swift Biosciences is always hiring if spectacular talent comes along, Olson says a more sweeping hiring push is planned for 2014 as both the company and the field of personalized medicine ramp up.